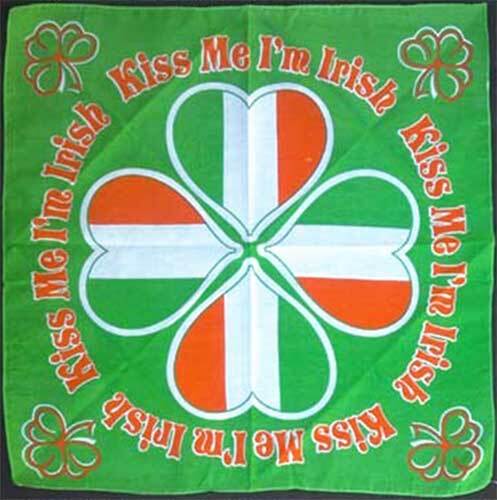 This Kelly green Irish bandana features a green, white and orange four leaf clover in the center that is surrounded with the words Kiss Me I'm Irish; additionally, it also has a shamrock in each corner. The polyester shamrock bandana measures 21" x 21" and it can accessorize your Irish costume on St. Patrick's Day. The bandana is received with a shamrock history card, complements of The Irish Gift House.